It was still February when finally the riding stars aligned for me for the first time in 2014: I was here at home, it was a weekend, and the weather was reasonable. 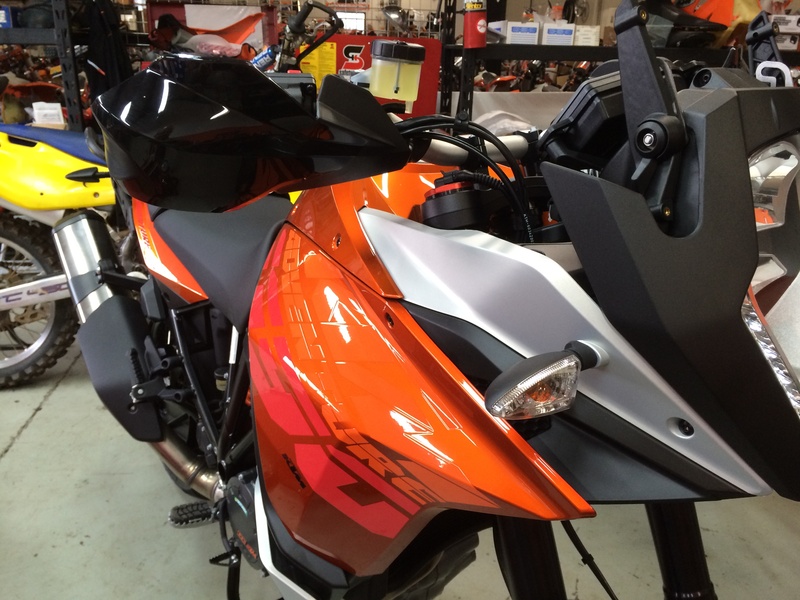 I had been eying the KTM 1190 adventure motorcycle, the new arrival to the adventure motorcycle world, for several months already. It was sometime in January when I paid a visit to KTM Country here in Eugene and got to see it for the first time. My target for that sunny (the sun sort of came out at some point) and relatively warm Saturday was to go to the KTM dealer and take that bike for a ride. Got my camera ready and set the Tiger 800XC for its maiden voyage of the year. My maiden ride of the year! My bikes were on a battery tender rotation throughout the winter, so the Tiger’s battery had plenty of juice and it was ready to go at first crank. I checked fluids, air pressure on tires, and did an overall review on things. I decided to take this bike, as this would be the one to go in place of the KTM, if I ever went that direction in the future. 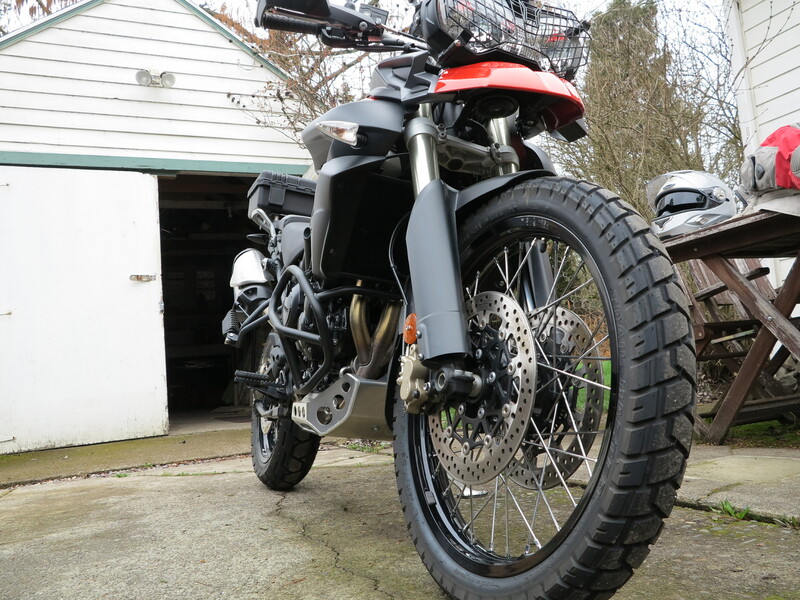 I got reacquainted with the Tiger, went towards Fern Ridge, taking the long way to get to the KTM Country store, making sure the Tiger’s fluids got a chance to warm up to operating temperature before I would bring the bike back home to who knows when I would be riding it again. After all, this is still winter! 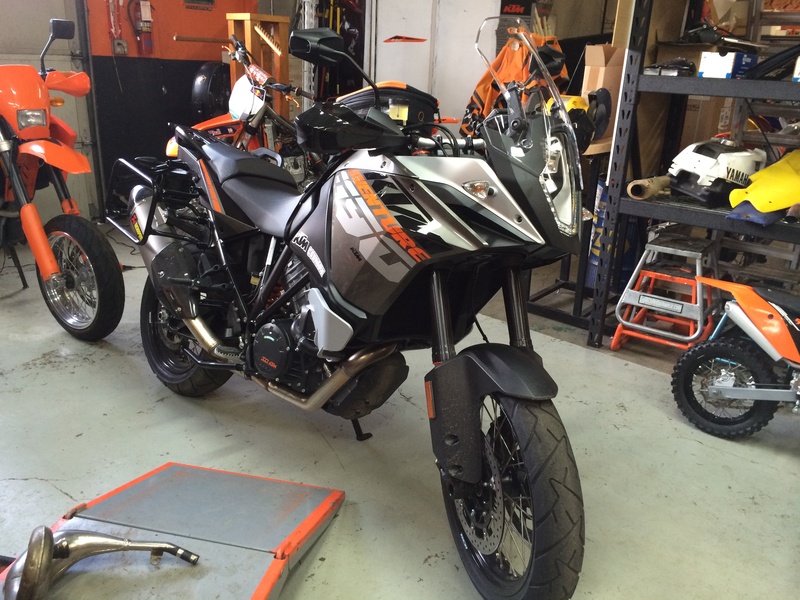 When I arrived at the KTM store I learned they had a new arrival, an Orange one, besides the grey demo bike. 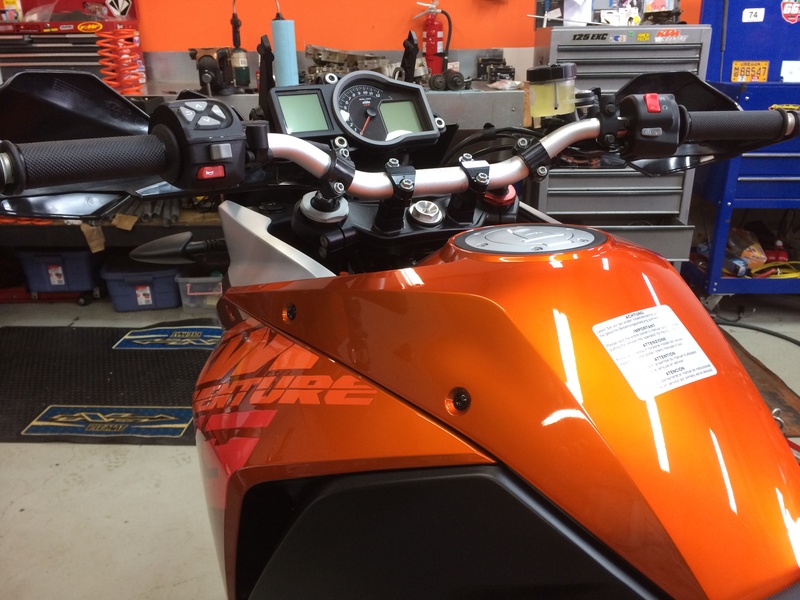 They explained to me that they’ve been getting the KTM 1190 Adventure R model, the one with a 21 inch front wheel and more set up to offroad riding. But those are all pre-sold or sell as soon as they arrive. Besides the demo, at the end of February they had two standards, this Orange one and a gray one (about to arrive) both unsold at that time. The orange bike looks a lot better in person. At least that’s the way I see it. Although I would go for the gray one if I ever went the 1190 route. Also, I would not go for the R model, no need for that, since I’m not going to go motocrossing with such a large bike. The standard should be plenty good, more than enough for gravel and dirt roads. To make this story short, I did not get to ride the demo bike. Staff were busy at the store, one on the back working on a bike and only one in the front, with customers. Since they require a “baby sitter” or chaperone for test rides, at least that’s what the guy in the front told me, I did not get to take the bike for a ride. Maybe if they knew me (0ne of them does) they would let me take it for a ride. Anyway, it simply did not happen this time, I may go back and try again. So I got back on my Tiger and went back home. I made some 20 to 30 miles in total with the Tiger, enough to get reacquainted with the bike and with riding. The following day, Sunday, the weather forecast indicated a dry day for Eugene and for the coast until late in the afternoon. So that was my plan: take the Ducati for my Pacific Ocean loop. Is that the KTM dealer on W 11th? We drive by it all the time but I don’t think we’ve ever stopped in. Bummer you didn’t get to go for the ride, but at least you got out on the Tiger. Something tells me you’ve probably been out in the nice weather we’ve had this last week too. I finally got out yesterday.